Today, let’s discuss Eyeliner 101. This is apart of my Makeup 101 series, which I hope you’ve been loving so far! 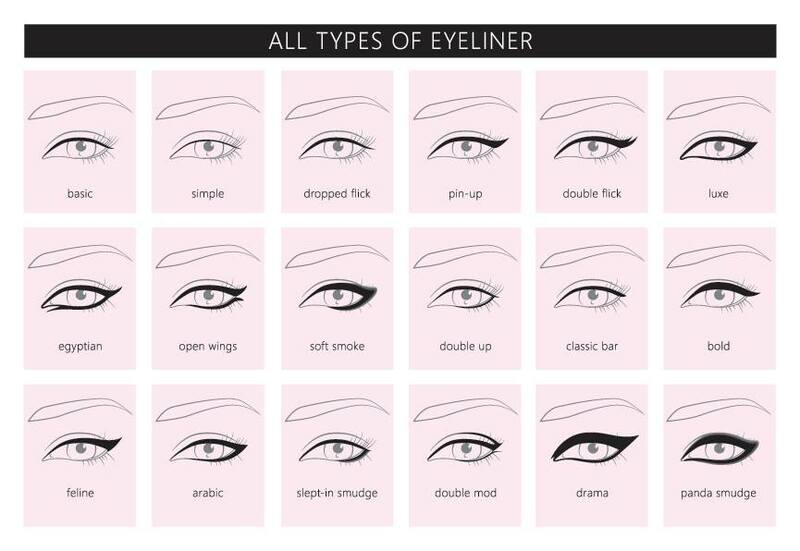 Eyeliner can seem intimidating, but don’t worry, it’s not…especially if you know the look you’re trying to achieve. For eyeliner, there’s two basic formulas (liquid and pencil), but MANY colors and a TON of brands available. From purple, white, black, brown, green, and even blue, from brands like Too Faced, NARS, Maybelline, Revlon, L’Oreal…the choices are practically endless. 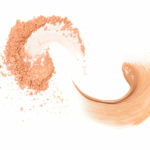 So, let’s talk about what formula (and what shades!) are right for you. Liquid liner is great for a more precise, sharp, “perfected” look. Liquid liner is especially wonderful for achieving the classic winged liner or cat eye look, and can look amazing with everyday or glam makeup. It’s a bit trickier to master vs the ease of a pencil liner, but once you practice, the results are beautiful! In liquid liner, the shades available are pretty much every color. As with all makeup, I really only recommend bright or even colored liner (red, blue, and so on) for holidays or special occasions. My top shade recommendations in liquid liner include black, brown, and even white if you’re daring. this looks fabulous as a slightly “messier” look. It definitely isn’t as precise as liquid liner, unless you use a concealer or some other form of makeup that helps to ‘sharpen’ up your eyeliner. I think pencil liner looks great in everyday situations, for casual wear, or even for night time smokey glam. 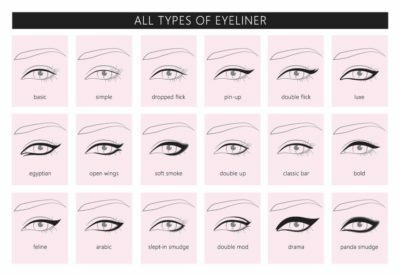 It’s pretty universal, and I find that it’s more subtle than liquid liner most of the time; though, of course, it depends on how you apply both. pencil liner is available in virtually all colors. Again, with this, I recommend black, brown, and white for a pop to the inner corners of the eyes – additionally, a lavender or deep purple looks amazing on brown eyes, navy liner looks great on blue eyes, and green or brown liner looks INCREDIBLE on green eyes for special occasions. there ARE glitter liners…and I love them. They can look great to add a pop of glam and elegance to the right look, especially for events like New Years, Bridal Showers, Parties, and so on. Any time you’ll be celebrating, I recommend adding just a little liquid glitter liner; it can really transform your whole look! I don’t typically suggest them for everyday wear, as they can be just a bit too much when running errands or meeting up with a friend for coffee – but it’s all up to you. Have any other questions about eyeliner? Let me know in the comments below! 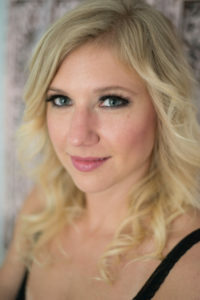 If you’d like to schedule a makeup lesson with me, please contact me at nancy@makeupbynancy.com !